The only online Virtual Tiny House Workshop is back on October 17th and 18th, and it’s filling up fast! The first Design / Build / Downsize virtual tiny house workshop was a big success – and after all the positive feedback, Dan and Mariah have decided to do a second one. >>> Registration is now open, and you can see the full curriculum and sign up right here. Tiny house dwellers, builders, and designers Mariah Pastell (tiny house and vintage camper expert and blogger from CometCamper.com) and Dan Louche (author of The Tiny House Design and Construction Guide, TinyHomeBuilders.com) are going to be teaming up to teach the only Virtual Tiny House Workshop on October 17th and 18th! 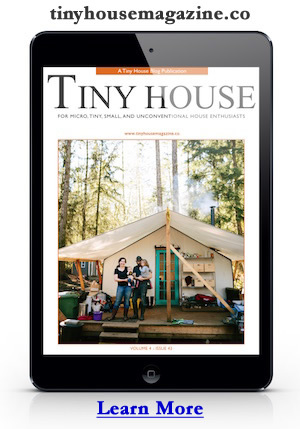 Virtual tiny house workshop? How does that work? Design / Build / Downsize is a two-day virtual tiny house workshop that includes 8 in-depth lessons and trainings, live group chat and discussion, and a live Q + A session with Mariah and Dan Louche, two tiny house experts! 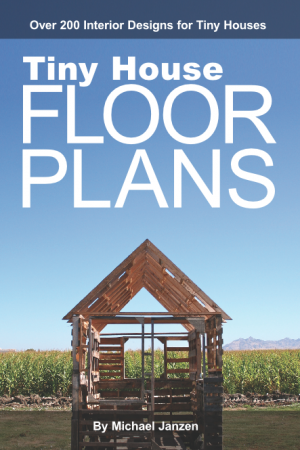 You’ll get all of the info you need to start your tiny house project! These lessons and the Q & A Sessions are invaluable – to get personal advice, learn what mistakes you need to avoid, and hear from two experts about everything they’ve figured out from 6+ years doing this stuff! Not to mention, they’ll show you how to save THOUSANDS on your tiny house build – and many of our workshop attendees say they feel like they’re getting the workshop for free because they are able to save so much money with the info we share. The workshop includes 8 lessons on everything from choosing a trailer, designing your tiny home, building methods, and downsizing. You can see the entire curriculum and register right here! Mariah and Dan have been teaching hands-on tiny house workshops together for the past 3 years, and they knew that their workshops were only available to a limited number of people, both because of the cost, the travel expenses, and the limit on how many people they could host at one time. They wanted to help more people in a way that was more affordable, and open to everyone no matter where you are. So Dan and Mariah created the Tiny House Workshop that you can do from anywhere. During the workshop, they’re really getting into the nitty gritty technical details – like off-grid systems, building materials + techniques, design methods, choosing your trailer, sustainability, codes and laws, and more. This entry was posted in Tiny House and tagged Build, Design, downsize, online, virtual, Workshop.